When I dream of Vienna, it's always night and raining. I am running through the streets, must get somewhere quick. I pass a new row of buildings. They are significantly smaller than the rest of Vienna's houses and glowing with lights of all hues. I slow down to look at them closer, there are restaurants, casinos, somewhere on a sign the name "Katalin" is written. Fairylights everywhere. To my left theres a tiny blue lit "Hansel & Gretel house" with a gingerbread fence. To my right theres a bright red lit window. I stop and look inside. 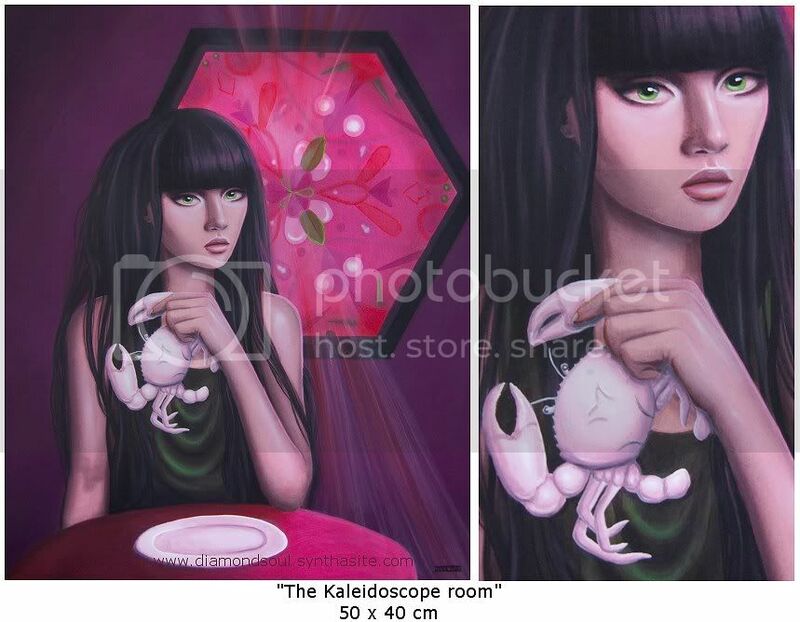 It is the "Kaleidoscope room". Inside the walls are made of kaleidoscope glass. Pretty patterns, mostly red or purple, because of the lighting. I am late for wherever I was going, so I decide to take a shortcut through the place. Inside it's busy but silent. It is another restaurant. Beautiful people are sitting at round tables eating nothing but white crabs. Instead of menus there's photographs of models on the tables.